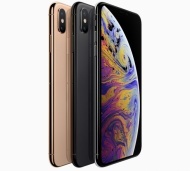 alaTest has collected and analyzed 299 reviews of Apple iPhone XS. The average rating for this product is 4.7/5, compared to an average rating of 4.1/5 for other Cell phones for all reviews. People really like the usability and design. The screen and camera also get good feedback. Comments about the sound and price are different. iPhone XS review: iPhone XS is arguably the most iterative iPhone to date but it's still worth considering, provided you can swing the high asking price. Excellent camera. Powerful processor. Fast networking. First mainstream dual-SIM phone in the US. Expensive for the size and feature set. As with all iPhone "S" model upgrades, the iPhone XS is about bringing new processing power to a phone that already looks really good. Caviar releases golden Limited Edition of iPhone XS and XS Max. These special Apple phones have a mechanical watch with a tourbillon mechanism built-in. Apple iPhone Xs review: It's less expensive and more basic, but is the Xs the best iPhone of 2018? It's certainly worth considering as an alternative to the iPhone Xs Max alongside the Galaxy S9, although the S9 is a lot cheaper than both the Mate 20 Pro and the iPhone Xs. ...and that’s all, folks! Be sure to read our full coverage of the iPhone Xs and Xs Max, along with its “entry-level” counterpart, the iPhone XR.